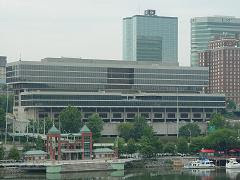 As of Wednesday afternoon, Knox County officials are one step closer to something they've been discussing for years: the sale of the Andrew Johnson Building downtown. The structure serves as Knox County Schools headquarters, housing all the district's central offices. 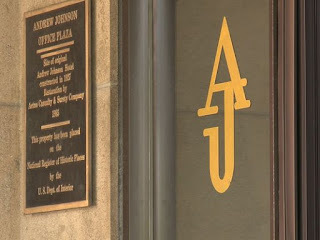 At exactly 2 p.m. Wednesday, Knox County Purchasing officials opened the office's bid box and sorted through letters of interest from companies hoping to purchase the AJ Building. Originally known as the Andrew Johnson Hotel, the building was constructed in 1928. It's located on the south end of downtown Knoxville's bustling Gay Street. Seven companies responded to the county's Request for Information (RFI). Ben Sharbel is real property coordinator with Knox County Purchasing. He opened the letters of interest Wednesday and explained they're neither formal proposals nor bids. "It's just for us to review and test the waters, see what's out there," Sharbel explained. Five of the companies are based in Knoxville. Those are Dover Development Corporation; Graham Corporation; LHP Development, LLC (formerly known as Lawler Wood Housing Partners, LLC); Dominion Development Group; and Rentenbach Constructors Incorporated, which is based in Knoxville but an affiliate of Lansing, Mich.-based Christman Capitol Development Company. One company - Heritage Land and Development, LLC - is based in Memphis. The other one, BNA Associates LLC, is based in Nashville. BNA Associates LLC developed and now owns and operates connected downtown Knoxville businesses Tupelo Honey and the Oliver Hotel, on and near Market Square, respectively. The various companies proposed a variety of uses for the AJ Building. "Anywhere from a boutique hotel to, you know, some retail and things like that," Knox County Mayor Tim Burchett said. "I think a mixed use is probably going to be the best for it, but we'll see. That's all we asked for this, to get some new ideas. But I'm very encouraged by it." From this point, Burchett will decide whether to issue a request for proposals or put the building out for public auction. "The market's really going to decide, in my opinion, the value of it and what it's used for," Burchett said, adding, "a big concern of mine, of course, is to continue working with the school system." He and Knox County Schools Superintendent Jim McIntyre are working together, Burchett said, to find a new location for the district's central offices. "We're aggressively looking at places for them to go. 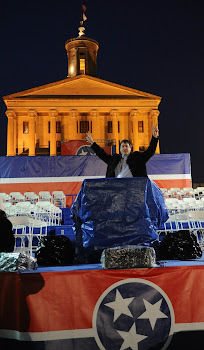 We're not just kicking them out," Burchett said. Selling the AJ Building was a topic of discussion as the men prepared a mutual memo of understanding this spring. Returning the AJ Building to the tax rolls, Burchett said, will be good for county coffers. "The residuals from that will be huge, I think," he said. "The tax dollars, long-term effect, after I'm long gone from this office, is what I'm looking forward to." He said moving out the existing offices, selling the building and having the buyer renovate it will not be a speedy process. "The reality is, we're probably looking two to three years for the complete process," Burchett said. "People in this office have talked about this for years, doing something about it. I'm just excited that it's come to bear some fruit right now."